 Global Formulation additives Market to reach USD 32.7 billion by 2025. Global Formulation additives Market valued approximately USD 18.4 billion in 2016 is anticipated to grow with a healthy growth rate of more than 6.60% over the forecast period 2017-2025. Key factors which gives growth to the Formulation additives market are increasing demand for formulation additives in the construction and transportation industries. In addition, the rising demand for formulation additives due to increasing furniture & flooring and oil & gas manufacturing in emerging economies is another significant factor contributing to the growth of the formulation additives market. Some of the key manufacturers involved in the market BASF, Eastman, Cabot, Allnex, M?nzing Corporation, Arke, BYK Additives, Evonik, DOW, Honeywell, Momentive Performance Materials. Acquisitions and effective mergers are some of the strategies adopted by the key manufacturers. New product launches and continuous technological innovations are the key strategies adopted by the major players.